He's the best there is at what he does.and Wolverine's not so bad, either. 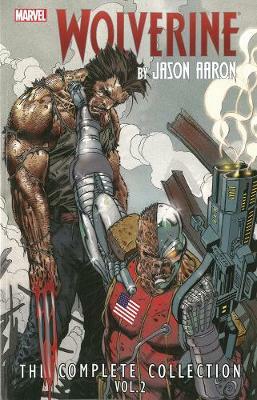 Writer Jason Aaron's (Punishermax) acclaimed and character-defi ning Wolverine run continues in this second volume! Joined by some of comics' top artists, Aaron puts Wolverine through his paces: fighting the bizarre "living religion" Collecting: Dark Reign: The List - Wolverine 1; Wolverine: Weapon X 6-16; Dark X-Men: The Beginning 3, All-New Wolverine Saga.